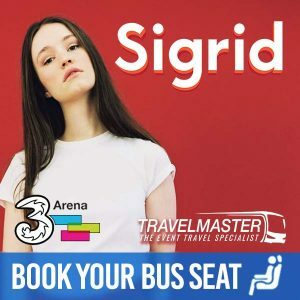 THIS IS A DEDICATED CONCERT BUS SERVICE, THE BUS WILL DROP ALL CUSTOMERS OUTSIDE THE 3 ARENA AND PICK UP FROM THE 3 ARENA 45 MINUTES AFTER THE EVENT FINISHES. 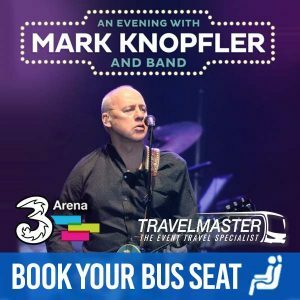 Through Travelmaster, you can purchase tickets for Bus to Demi Lovato from Cork, Kerry, Waterford, Tipperary, Limerick, Kilkenny, Carlow & Laois to the 3Arena because Travelmaster provides an easy and smart way to travel to concerts – since seats sell quickly, don’t delay and book today! Why should you use Travelmaster to travel by bus to Demi Lovato? COMFORT: You travel safely in comfort and as a result, you arrive refreshed to enjoy the Demi Lovato concert. How do I buy a ticket for a bus to Demi Lovato?